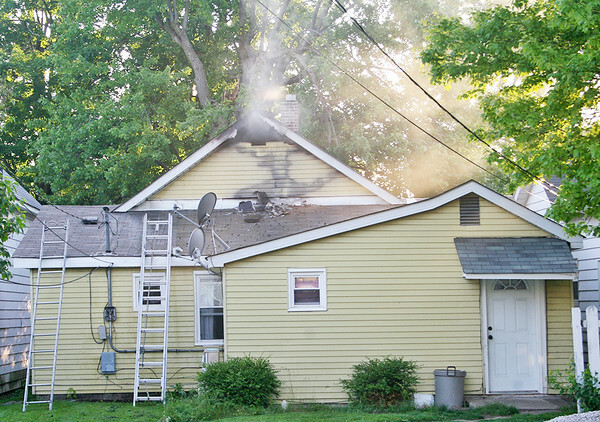 HOUSE FIRE: The attic of a house in the 300 block of W. North St., Lebanon caught fire Friday evening around 7:50 p.m. No one was injured in the fire, said Lebanon Fire Department Chief Chuck Batts. According to property tax records, the house is owned by Rob and Sarah Hoopingarner, of North Salem. Zionsville Fire and Center Township Fire assisted the Lebanon Fire Department. The cause of the blaze was still under investigation Friday evening.